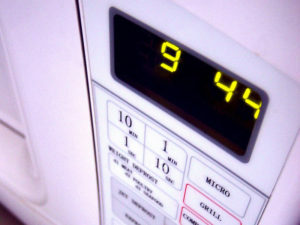 Microwave usage across the EU emits as much carbon dioxide as nearly seven million cars, new research suggests. The study suggest microwaves in the EU emit the same CO2 as 7 million cars each year. The cradle-to-grave analysis of microwave usage by the University of Manchester found that microwaves emit 7.7 million tonnes of carbon dioxide equivalent per year in the EU. This is equivalent to the annual emissions of 6.8 million cars. The authors suggested efforts to reduce consumption should focus on improving consumer awareness and behaviour to use appliances more efficiently, while also addressing issues with consumers discarding working electrical and electronic equipment for new and improved models due to rapid technological developments and falling prices.